Headwaters Ranch is one of largest undeveloped properties in Lake County. Situated near the Top of the Rockies National Scenic and Historic Byway, the ranch offers stunning panoramic views of the Arkansas River Valley and some of Colorado’s iconic 14,000-foot peaks. 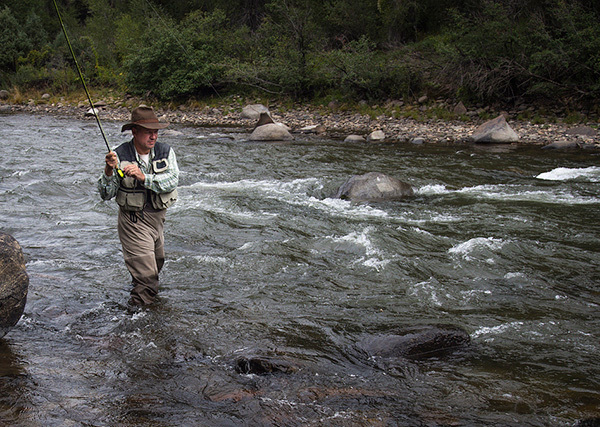 It also includes the headwaters of the Arkansas River, one the most heavily fished and boated rivers in the country. Sale and development of the ranch would have compromised recreational access to the river as well as water quality. To prevent this, The Trust for Public Land worked to protect the ranch with a conservation easement that now safeguards the corridor’s rural character and scenic views. The Land Trust of the Upper Arkansas holds the easement, ensuring public access to three miles along the East Fork of the Arkansas River with prime recreational fishing.